To Improve We Must Evolve. This Book Inspires! How sure are we that The Way of the Iceman (eBook) will work for you? 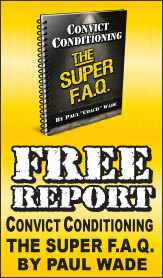 Simply fill out the form below and put The Way of the Iceman (eBook) to work for you right now. Obviously, we would go out of business if The Way of the Iceman (eBook) didn't work, the way we said, right? With the promise of a full refund if you're unsatisfied, you have nothing to lose by trying The Way of the Iceman (eBook). Go ahead and try it today. "Inspiration inspires. What I like most about Wim and his book is how he taught me to trust my body, overcome fear and give me the best opportunity for success. He mixes personal experience and science—which becomes truly motivating. Wim provides the tools you need to master self-discipline, gain courage and live a vibrant life. He is Aquaman and Tony Robbins rolled into one. He is The Iceman!" "We live in a chaotic modern world with daily assaults on our health from frenetic schedules, poor sleep, high stress, chronic disease, and infectious illness. Our brain and nervous system have been highjacked by this toxic environment, always on high alert with real consequences to our physical and mental health. 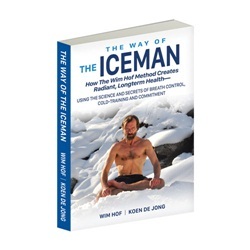 Deceptively simple, and incredibly powerful, The Way of the Iceman gives you not only the scientific framework, but actionable steps you can implement to take back control over your high-jacked brain, increase resilience from illness, and start healing yourself from the inside out. 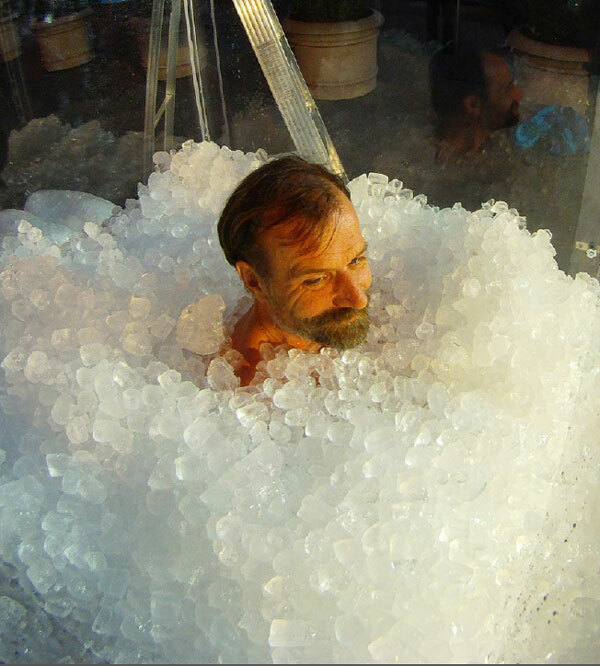 The Wim Hof Method has become a cornerstone in my personal daily wellness plan, and as a public health physician, I cannot recommend it highly enough." "The Way of The Iceman is one of only two books in my life that I have read cover to cover the first time I put my hands on it. Nothing in the book is over the top and we are talking about a guy who swims under ice. The method is so simple, yet so elegant. It’s marvelous and I think you will apply the techniques immediately." 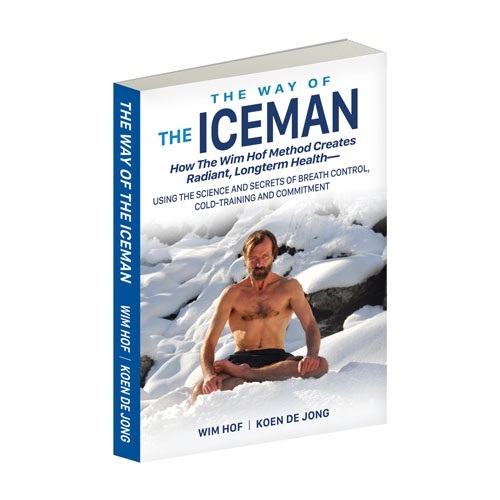 "Wim Hof makes the seemingly mystical and extraordinary, ridiculously easy to access. Anyone who is willing to explore the latent powers of deep breathing and imagination will feast upon his unique story and his method of overpowering the unconquerable elements of nature." 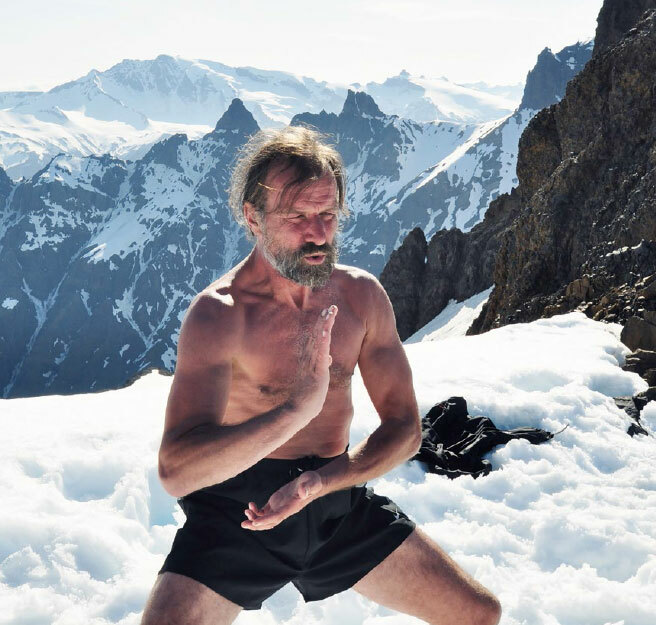 "Wim Hof has learned to control his physiology in a way rarely seen in human history. 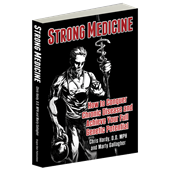 This book takes his extraordinary techniques and simplifies them so you can optimize your health and wellness. 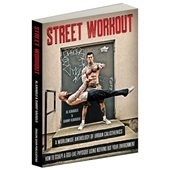 I recommend you learn the unique methods Wim has mastered in order to add vitality to your body and life." 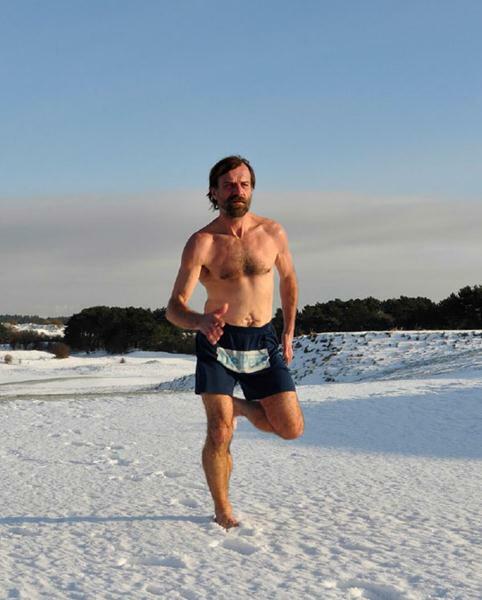 "As someone who enjoys bare-chested, outdoor winter calisthenics workouts, Wim Hof's extreme cold weather feats immediately appealed to me. 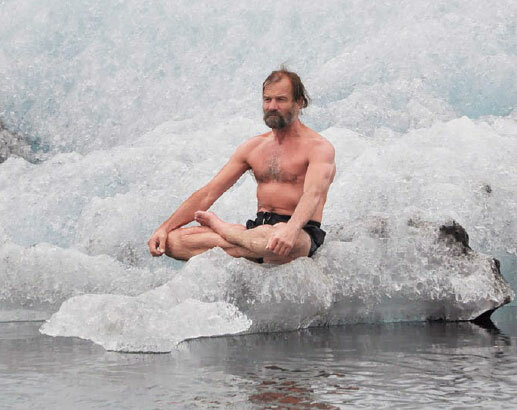 The Wim Hof Method is so simple that anyone can get started right away. And the results are so palpable that once you start, you'll almost certainly want to keep going." 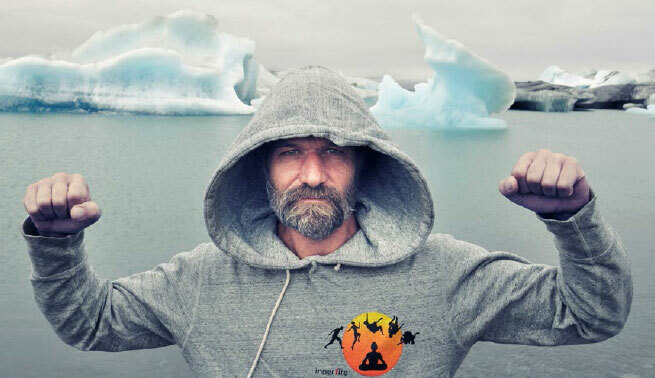 "Wim Hof first came across my radar a few years ago when I heard of a crazy Dutchman defying the laws of thermodynamics. How could a man submerge himself in freezing water for prolonged periods of time without hypothermia? How was it possible for his body temperature to stay the same during the process? I found The Way of The Iceman fascinating." When I read The Way of The Iceman I was struck with awe and hope! Wim has brought scientific evidence to what I personally believe and have been teaching my students for years about breathing, bioenergetics and our connection to the spirit world. By demystifying the religious Wim is helping to support a Truth in the New World; mainly that spirituality without science descends into superstition, and science without spirituality degrades humanity into the meaninglessness of materialism." 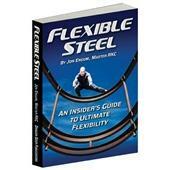 "What lies within this book is the key to accessing power whenever and wherever on demand. A tool to transcend consciousness and tap into the highest version of yourself. Never have I experienced anything that allowed me to instantly shift vibration and release such energy." Rated 10/10 To Improve We Must Evolve. This Book Inspires! and refused to open my mind to knowledge. And, at age 41, I am seeking out ways to evolve today more than ever. I offer is a question I ask myself. The answer is to learn more and constantly seek out greater knowledge. I began the first breathing exercises immediately upon reading the procedures in this book. And after only a few minutes of breath practice, for the first time in a while, I felt relaxed in a way I hadn't felt in a long time. those who dare to evolve and improve. "I always did it that way" is a dead end street! Have been taking cold showers (no hot water) for about a year now, but adding the breathing part really takes it to a new level. Working outside in 15 to 30 degree weather this winter and the breathing really takes your mind off the cold. 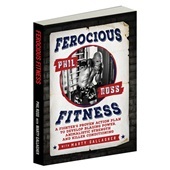 Very entertaining book, highly recommended. Great ebook very easy to read understandable in a different ligh of nature, that made me feel, to be curious about how nature has got all the answers. 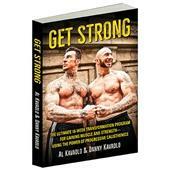 great book , great content and big inspiration. But unfortunately it is missing in my opinion a more detailed development of the practice. Further the connection between the beginner and advanced cold exposure technics and the actual application of them. It comes a little short. But great book, though.